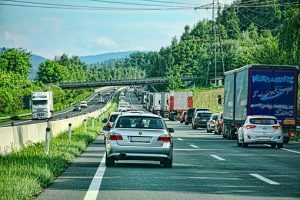 Norwood, MA (July 13, 2018) – Multiple vehicles were involved in a crash that occurred in the left hand lanes of I-95 in Norwood Friday morning. The accident happened just before 7:00 am on I-95 north, near exit 11 at Neponset Street. The crash blocked both the travel lanes as well as the breakdown lane of the roadway, leaving only one lane for traffic to get by. Predictably, the crash caused major delays on the highway at one of the busiest travel times of the day. An ambulance was on scene to treat those injured in the crash. The vehicles involved sustained heavy property damage as a result of the collision, however, the extent of injuries remains unknown at this time. The accident scene is active and police are still investigating the crash. We will provide you with any further information as it becomes available at a later time. Injury accidents happen on a daily basis on major streets and highways in Boston and around our state. With a population of over 6.8 million, Massachusetts is the third most densely populated state in the country as of 2017. A more densely populated area naturally means more people on the roadways and thus more car accidents. As much as we would all like to avoid accidents, we know that they will naturally occur due to a variety of causes related to mechanical or human error. If you have been the unfortunate victim of an accident, we know how you feel. Car accidents are never a pleasant experience for those involved. They are even worse when you are injured. A personal injury accident leaves you with problems that you did not have prior to the crash: pain and suffering, high medical bills and missed work to name a few. These problems can seem overwhelming if you are not properly prepared to deal with them in the aftermath of the crash. We are here to help. At the Law Offices of Jeffrey S. Glassman, our personal injury attorneys have decades of combined experience helping car accident victims through troubling and difficult times. Our staff possesses the training and knowledge necessary to assist the attorneys and help with a positive resolution to your Massachusetts personal injury claim. If you or a loved one has been injured in an accident, please call our Boston personal injury lawyers at 617-367-2900 today for a free consultation to discuss your case.